So you’ve decided it’s time to get those precious photos off your iPhone, iPod or iPad and you plug in your device into your Windows PC and no little window opens up asking you what you would like to do? 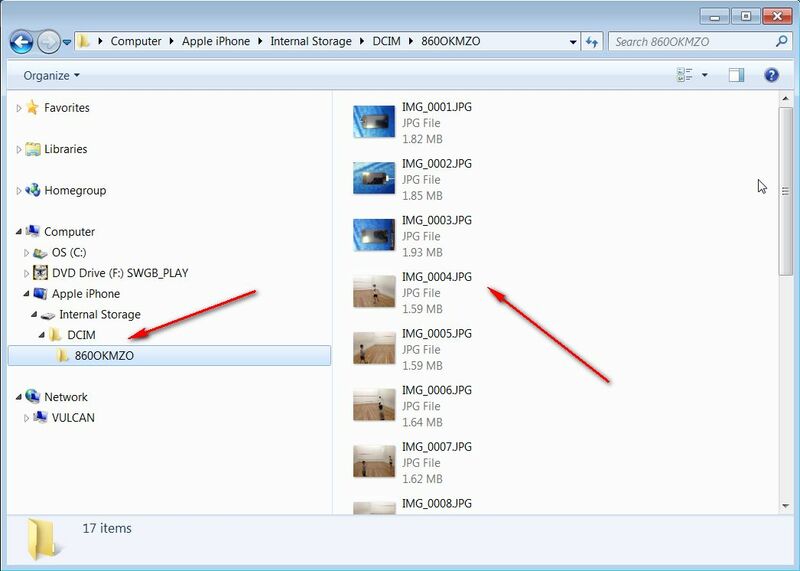 You don’t think to much of it, and open Windows Explorer to look at the folders on your hard drive and browse to the connected device which is your iPhone, iPod or iPad. 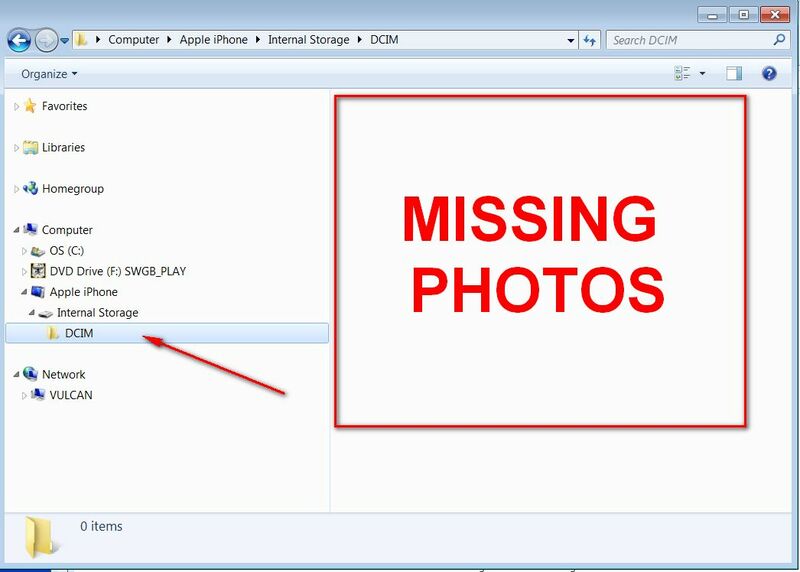 You frantically check on the device and see that all the photos and videos are still on the there, but just not showing in Windows. You breath a sigh of relief. Unplugging the device and plugging it back in isn’t going to help, but there is no need to worry. This is an issue with iTunes and the device drivers for Windows. You can uninstall iTunes, reboot, and re-install iTunes (which repairs the drivers), but you don’t have to. So here’s what you do to get them back. Disconnect the device from the USB port. Make sure your device is open and you have entered in the security code. Connect the device back to the USB port. This entry was posted in How To's, iPad, iPhone, iPod and tagged iPad, iPhone, iPod, photos, Windows Explorer. Bookmark the permalink.